Apple’s desktop operating system has got its voice. 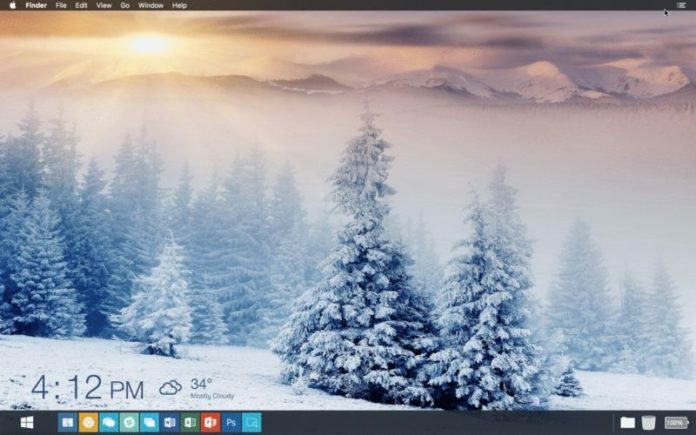 The desktop submitted by Alec brings a little bit of Windows 10 into Mac OS giving it a unified look, with an app launcher at the bottom functioning like a task-bar. So now, no more clustered desktop, as in mac OS Sierra, any app supporting multiple windows now supports tabs even third party apps, now everything can be neatly stacked in a very little space. Sierra enters the fray of dependable and solid operating system, just like the final versions of OS X. Not only this, it has other benefits also when used in conjunction with Apple watches and iPhones. The addition of iCloud and Siri are also a boon for working with files along with retrieving information on the desktop. Tabs also make working in full screen viable. Apart from the features, such as Siri will read e- mail for you, it can control playback in the Music app, you can watch TV shows while working and can watch video links in messages, you can change Siri’s voice, tap back comments in messages and many other smaller features are coming your way to mac-OS Sierra in the coming years this fall. Sierra focuses to new functionality and features, rather than performance. However, it also focuses on usability, allowing you to be more productive on the desktop. Apple has released Sierra in the veins of its predecessors and continues tradition straight from the App store onto your machine for the sum of nothing, making bulk of commonly used apps convenient for multitasking.